Power BI is a Business Intelligence (BI) tool that collates and analyses data from a wide range of sources such as Excel workbooks, SQL databases, web sites and cloud services. Power BI dashboards aggregate the data in one location saving time and effort. With a little help from the likes of our data scientists, you can then customise these to create visualisations; which will display the analytics you need to answer crucial business questions. We unlock the potential of our client’s data using Microsoft Power BI. Through custom visuals, Power BI can deliver both knowledge and wisdom to our clients, enabling them to enhance their business decisions. 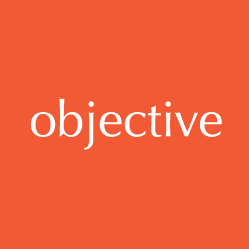 Objective IT’s data insight consultants, data scientists, and software development specialists, will work with you to connect and model your data to provide useful business intelligence. Power BI enables rich dashboards to provide graphs, charts, maps and plethora of visualisations that drill into the intelligence of your data. We can also train you to use Power BI and to modify your models, allowing you to interrogate your data on the fly. Power BI effectively gives you the power to decide. Centralising your data – Power BI offers unparalleled insight into your business. Even if you have disparate systems you’ll still be able to aggregate this data into one location. Better decision making – Having all of your data in one place will help you to make better decisions. For example having a real time view of current sales and your sales pipeline. Marketing and sales statistics can all be fed into Power BI, empowering you with the information you need to make strategic and intelligent decisions. Anywhere, any place access – You can take Power BI anywhere, on your tablet or laptop. You’ll be able to export insights gleaned easily with a touch of a button. Low cost – Power BI is available on monthly subscription and at a low cost compared to other solutions available in the marketplace. With Power BI, Microsoft has brought data warehouse technologies into desk based applications, thus providing businesses an affordable way to grow their Business Intelligence.